In 1962, shortly after the recording of this album, Dexter Gordon would become an expatriate, living alternatively in Copenhagen and Paris for 15 years. 1960 had marked Gordon’s comeback to the recording studios after a long hiatus of nearly five years. In fact, the October 1960 LP The Resurgence was his first album since the making of Dexter Plays Hot and Cool in 1955. This was mostly due to his problems with drugs. Before leaving for Europe, Gordon would record five albums in the United States: Doin’ Allright (1961), Dexter Calling (1961), Landslide, Go!, and the one presented here, A Swingin’ Affair (the latter three records were all cut in 1962). Both Go! and A Swingin’ Affair featured the same quartet, with Sonny Clark on piano, Butch Warren on bass, and Billy Higgins on drums. Although today his playing is revered within many jazz circles, Sonny Clark never achieved fame during his lifetime. Like so many talented jazzmen, he died very young, on January 13, 1963, at the age of 31 (the official causes listed as a heart attack, but it was probably due to a heroin overdose). Gordon wouldn’t record another session with this same formation. An unaccompanied piano performance by Sonny Clark recorded in 1960 has been added as a bonus. Englewood Cliffs, New Jersey, August 29, 1962. Sonny Clark (unaccompanied piano).. New York, March 23, 1960. One of the most renowned jazz photographers of all time, Francis Wolff (1907-1971) was also a record company executive and producer, whose skills were essential to the success of the Blue Note record label. Born Jakob Franz Wolff in Berlin, Germany, he soon became a jazz enthusiast, despite the government ban placed on this type of music after 1933. A Jew, in 1939 he left Berlin, where hehad worked as a commercial photographer, and established himself in New York. He began working there with his childhood friend Alfred Lion, who had co-founded Blue Note Records with Max Margulis. The latter soon dropped out of any involvement in the company, and Wolff joined Lion in running it. Wolff took thousands of photographs during the label’s recording sessions and rehearsals. 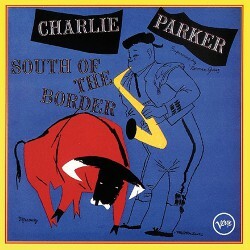 His highly personal visual concept would be forever associated with both Blue Note and jazz as a whole..